Thinking about how to structure training from here on, im going to try for 20 sets of squats of 5x127.5kg next friday. If i get that, i'll do 20x5x130kg 8 days later and i think that's where this high volume adventure should end. Will then taper down by 2 sets every week to maybe 12x5x140kg. I can't project that far out but that's my rough idea right now. I have to now admit I think i picked the wrong exercise for high volume if my goal was to get stronger and bigger i should have gone with deadlift. But like #1 priority for me is to get a 2xbw/180kg squat so i haven't really done anything i prob wouldn't have done anyway. Here is my reasoning. A couple of modest sets of deadlifts (say 90kg or 100kg) for 8 reps leave my legs burning and fatigued like nothing i feel from squatting. Keep in mind i did 100 reps with 125kg yesterday at a bodyweight of 86kg - im not really leaving any stone unturned in giving squats a chance to do something good for my leg strength. My experience is telling me having stronger legs will make me a better squat b/c every rep will become easier. However unfortunately the causality does not flow the other way for me - doing loads of squats doesn't make my leg strength go up, if it does it's marginal. Actually this has always been the case, i remember when i used to do powercleans, it may have only been like 65-75kg but they used to give me a wicked quad burn. So the combo of an explosive pull is prob a great way for me to not only increase leg strength but also athleticism. I dont think the squat dos anything for my athleticism either. But a big part of me deep down wants to believe the time i squat 180kg at a bw of 90kg or less i'll be a 40" jumper and sprint idk kinda fast (whatever that means). What's actually going to happen though is nothing to do with squats, i'll build the leg strength via tarpbar deadlifts which will exhibit as improved squat performance and it will be that extra leg strength which gets me from jumping 35" to 40". Actually it's awesome how im jumping so high with such modest leg strength currently, ive overachieved a lot from squats but they never came thru in the promise of leg strength. The only thing that changes this that heavier squats task my legs relatively more which does challenge them but heavier and heavier squats lead to break down in form in part due to a lack of sufficient leg strength. Unfortunately the squat is an inefficient builder of that leg strength (for me). It may well do for someone else though. But once you have more leg strength my squats will benefit as well. The other piece of the puzzle is how my squat behaves when i try using a belt. My form breaks down, i dont lift as well. And that's a mystery i haven't been able to reconcile. The thing is using a belt shud help use more leg strength, so if that's true then perhaps what's going on there is my lack of leg strength is being exposed by the belt by magnifying the weakness instead of what should be a strength. Most people would have the opposite experience, a belt would help more than hinder. Unless they're lacking in leg strength...? More importantly though - overall high volume tarpbar deads will build way more muscle in the (upper) back, tarps and even chest and arms while squats only hit areas ive alraedy probably peaked at in muscle mass (glutes and erectors). I can't wait to explore this after finishing up with my squats and putting htem on maintenance (prob in the range of 1.9-2.0xbw). were you smoking something when you wrote this? LMFAO. why end something that's going so well? Why not back off to 10 sets of X? You seem to be responding very well to high volume. vehemently disagree.. when I use vehemently, that's a serious disagreement, lmao. deadlift is incredibly risky for 20 sets, especially with your history of back issues. this is the worst idea i've ever seen you come up with... I really advise against high volume deadlifting for pretty much anyone. One really nice high rep set, or say 3-5 x 10, cool .. but 20 x 5 deadlift? no way, bad news. If it doesn't kill you, it'll definitely make you stronger ... but it is actually trying to kill you, unlike squat. Obviously with deadlift you're stimulating more muscle growth, by directly creating tension in more muscle groups, but that's not the only way to grow. High volume squatting itself, will help you grow all over because of how anabolic it is. Plus, prolonged exercises requiring grip strength/grip strength endurance are brutal on the CNS, not to mention on your grip/forearms/biceps in general, but the CNS "attack" via strenuous gripping is pretty potent. if you want more "burn", step up your reps per set and drop the total number of sets. 10 x 10 or 5 x 15-20 would make you toast. high volume front squat would give you insane quad burn, just sayin. but I don't recommend it, you'll probably pass out at some point or your elbows/front rack will feel like crap. dno, you're PR'n like crazy in your jumps lately .. and they look really explosive. you haven't experimented with enough 10 RM's IMHO .. you do lots of high volume 5's, but you'd probably benefit even more from 10's. So, 10 x 10 might have a more significant impact on muscle growth & leg strength than 20 x 5 .. 10 x 10 could be a base builder, and then 10 x 5 or 5 x 5, instead of 20 x 5, being the route you take when trying to leverage that base. that TUT for 10RM vs 5RM is very significant. the best belt is your core strength itself, with proper breathing mechanics.. so, if you need a belt to squat what you're squatting, it just points to a weakness there. The higher rep sets mentioned above should help with that also .. One of the biggest builders of my core strength back when I volume squatted, was those heavy sets of 20 with my 10-12 RM .. standing there recovering after 10-12 reps, while trying to hit 20, was ridiculous for my ability to handle heavy weights. if you were talking about trap bar deadlifts above, that changes things slightly: trap bar is much safer than straight bar.. however, it's still way more risky than squatting, for volume, especially if you are controlling the eccentric in the trap bar movement. but, that would be safer to experiment than regular deadlift. well ya stuff can get lost in journals, probably a good idea to post something like this elsewhere. Anyway, I think you respond very well to volume, just like I did .. not everyone does, it has alot to do with our "genetic fiber composition makeup & training - activity background as we grew up" I imagine. That volume just needs to be total work but seems to be more effective with longer time under tension. It can also be spread out throughout the week instead of setting it up for huge sessions: m-w-f (10x10,5x8,1x20) for example. Also, like i've said before .. if you're riding a good wave, sometimes you want to just see if you can stay on it a little longer, AELS constraint - safety first. So just be careful switching it up too early, when you're PR'n stuff left & right and your jumps are looking way more powerful. Sometimes it's worth just grinding something out, or making SMALLER alterations, just to make sure you don't fall off the surf board as ez. good call, yep happy for that! Yes...! lol. No just waffling. I will stick to it. The main reason is now squats are heavy enough that it's actually a good leg workout. But i dont think it was 10kg ago or even 5kg ago. I can't explain it but once squats get heavy 'enough' then all my objections about leg stimulus don't apply. But i still think it's inefficient for me to try to build leg strength via squats. I just have to be honest enough to admit that getting a beast squat is #1 priority and leg strength isn't so much. good point. I also ran into a wall with deadlifts a lot sooner than i expected. I think my progress on tarp bar will be super slow, like 2.5kg a week slow which means i have like 6 months to get up to some serious weights from 90-100kg at the mo. That's fine. But yea it can't wont be my staple lift. I dont know! But let me finish this cycle properly before deciding it was a waste of time halfway. Agreed. I agree with you on the belt. I tried on heavy day and honestly i do worse with the belt on than with it off. I have better form, feel stronger and go deeper and etc and im just not interested in belt anymore. The only piece of equipment i havent tried yet is my blue rehband knee sleeves. At some point i want to try them out and see how it goes. I think i will benefit more than most ppl. I have small joints (wrists, ankles and knees) and i think with the sleeves i'll have more stability. It will bring my closer to someone whos build for heavy lifting than i am currently .. I'm curious if my routine fits the Vertical Jump Bible. My plan-- full squat up to 385 - 405 (looks like I'm at 375 right now) but it has to be normal shoulder stance not super narrow. I did super narrow stance at 365 lb and it nearly permanently damaged my knee caps lol. I can deadlift decent amount too i think, if I tried. Do some lunges and other type stuff + calf raises. Fly when I hit 165 lb. Is this the perfect plan? BTW- I have very thin bones and I heard that that helps a lot to vertical! without changing anythign else (same person, same clothes, mobility, etc) and putting the bar in the same spot i find it way harder to stay UPRIGHT. WTF. so why why why do i lean over more and this is way harder on my core (esp lower back). This is not an uncommon thing. 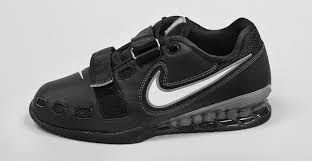 Chad Wesley Smith, one of the best powerlifters and upright squatters in the world, advises people to dump heeled shoes if they don't work for them . He coaches Marisa Inda who I think has the WR total at her BW and she used to squat w/ Oly shoes and stopped using them before they pitched her forward. So, don't worry yourself too much with why it has this effect, just squat with the footwear that lets you move how you want.